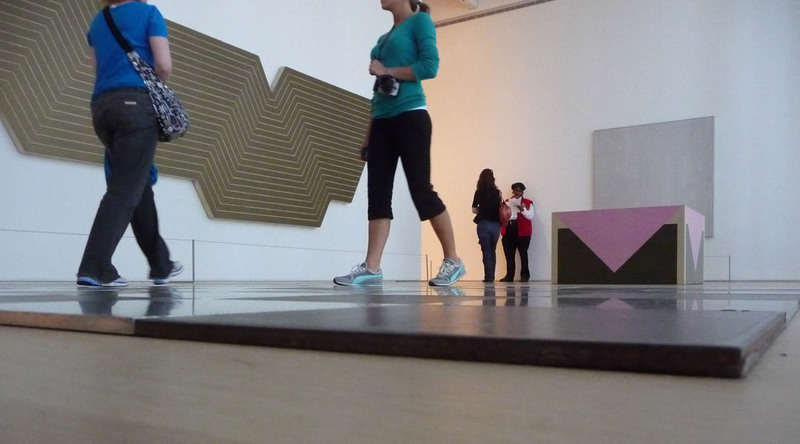 Five out of 25 students have submitted. 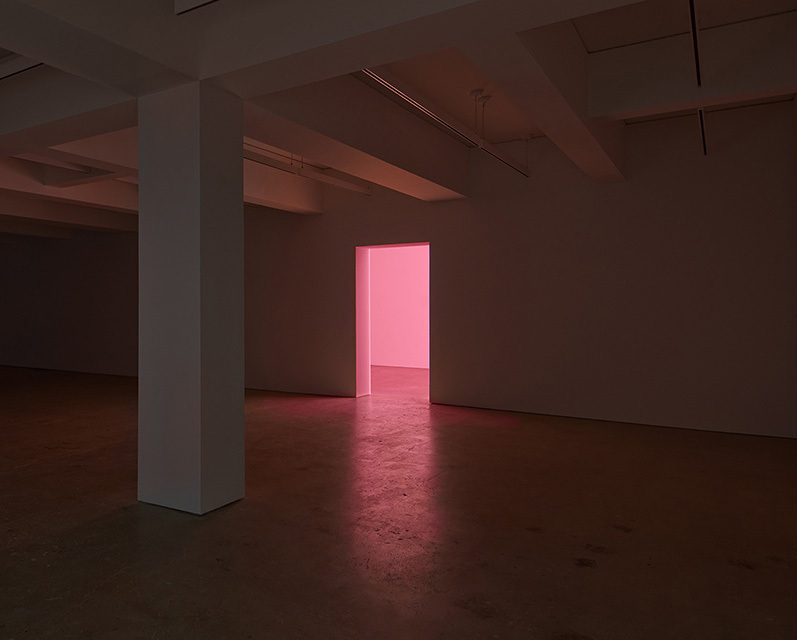 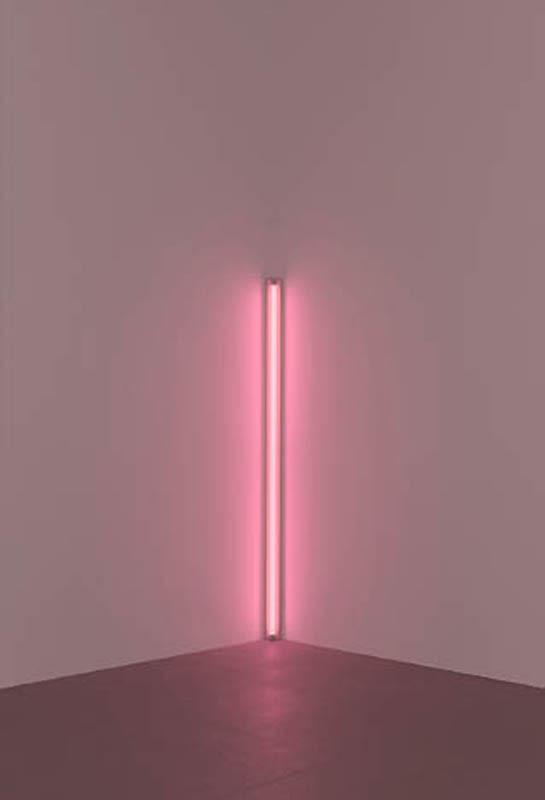 Dan Flavin, Pink Out of a Corner (To Jasper Johns), 1963. 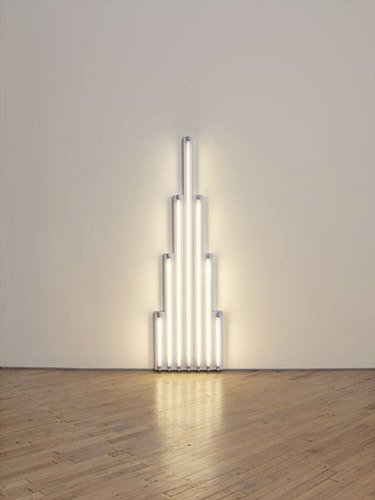 Dan Flavin, Monument I For V. Tatlin, 1964. 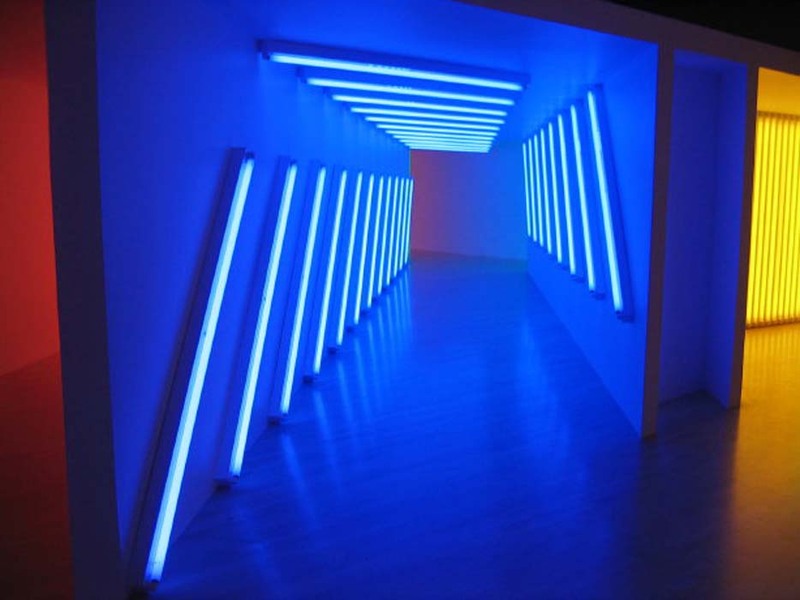 Dan Flavin, Blue Intensity, Installation at LACMA 2007. 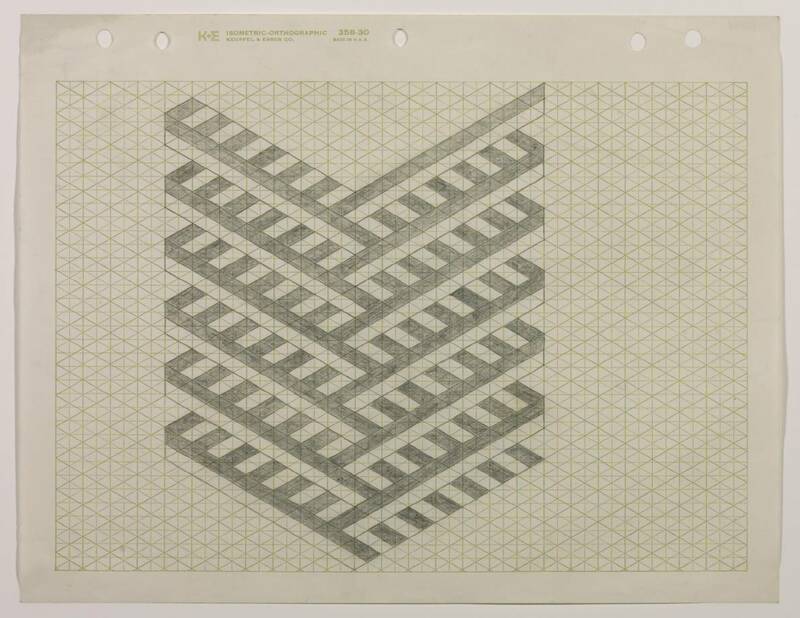 Carl Andre, Drawing for the Perfect Painting, 1967. 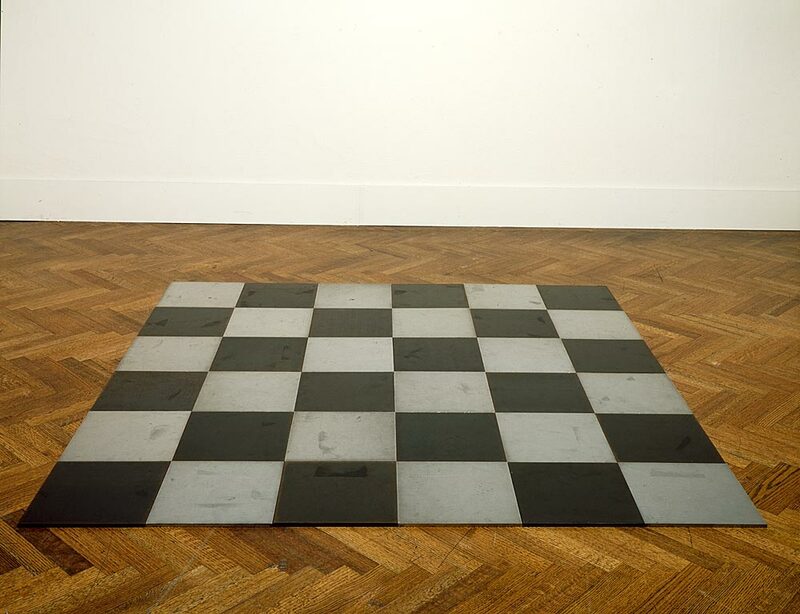 Carl Andre, Steel Magnesium Plain, 1969. 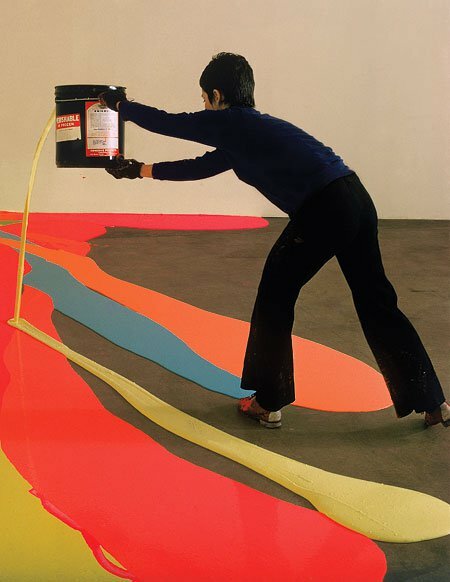 6 X 6 ft.
Carl Andre installing Steel Magnesium Plain, 1969. 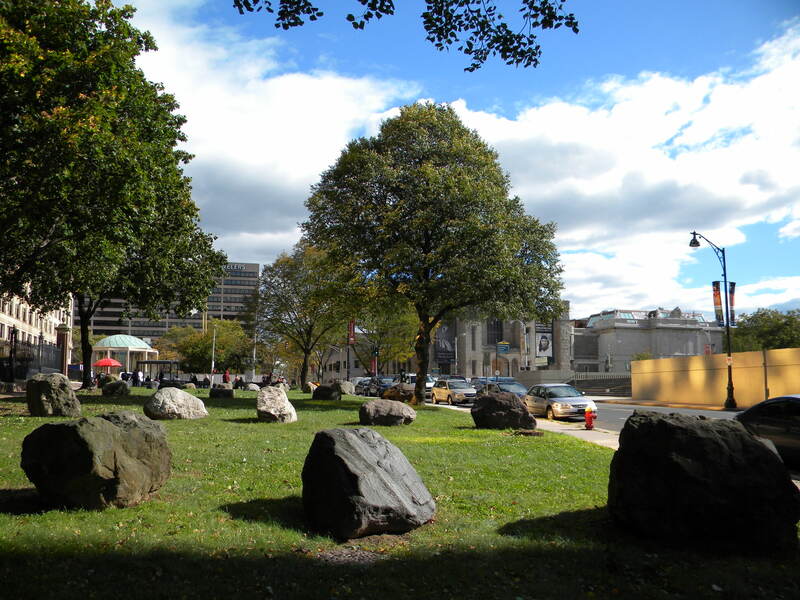 Carl Andre, Field Stone Field (Hartford Connecticut), 1977. 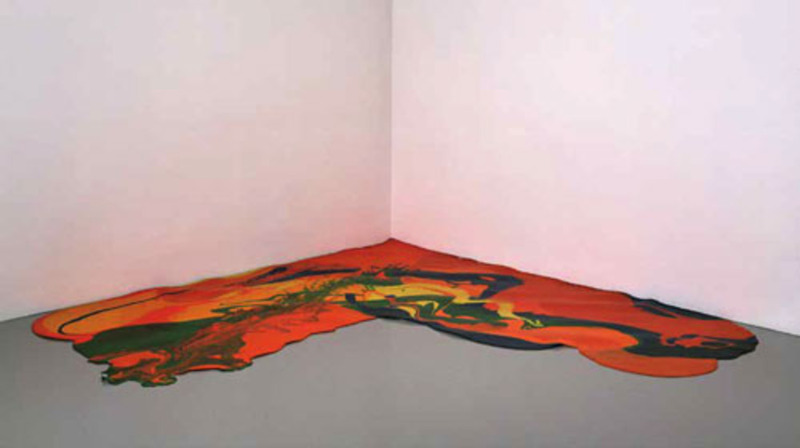 Lynda Benglis, Corner Piece, 1969. 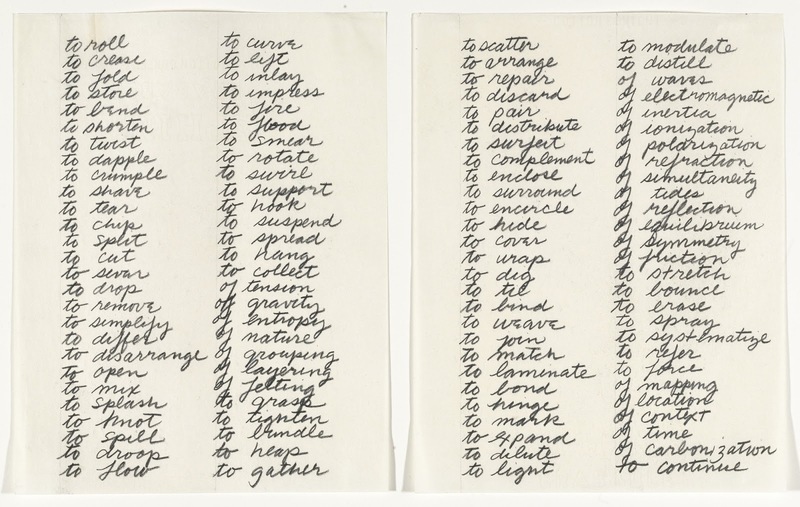 "To roll, to fold, to bend, to shorten, to shave, to tear, to chip, to split, to cut, to splash..."
Richard Serra, Verb List, 1967. 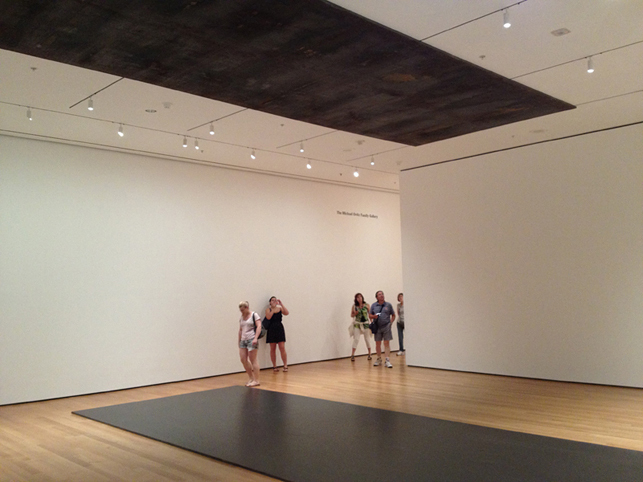 Richard Serra, To Lift, 1967. 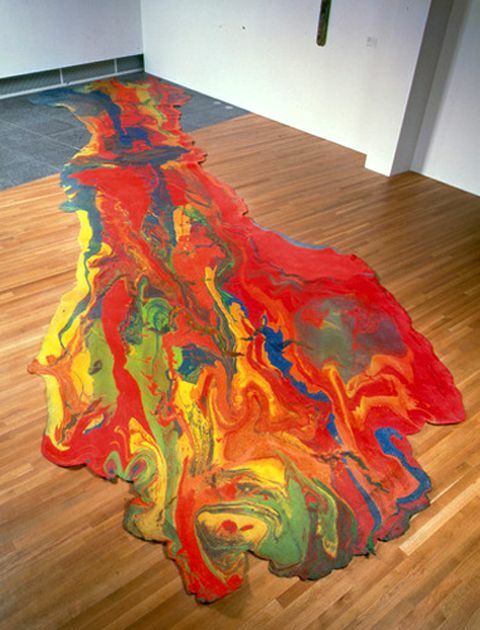 Vulcanized rubber, 36" x 6' 8" x 60". 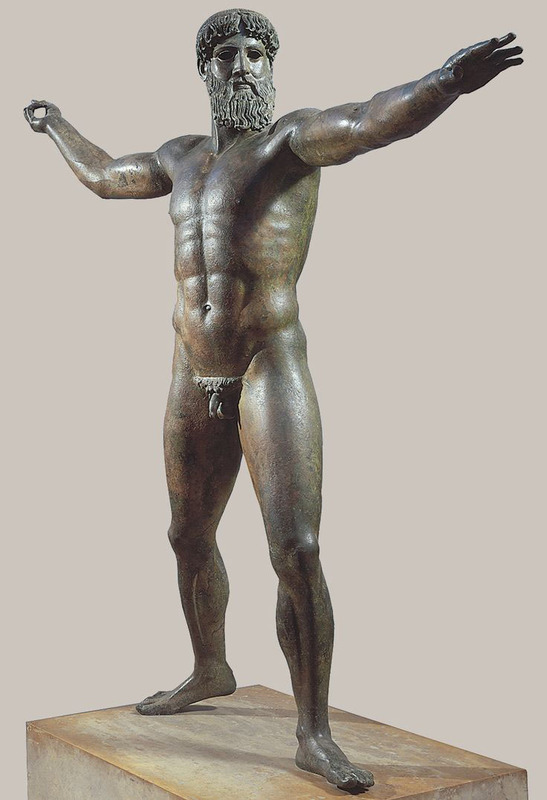 Zeus or Poseidon, Bronze, 460 – 450 BCE. 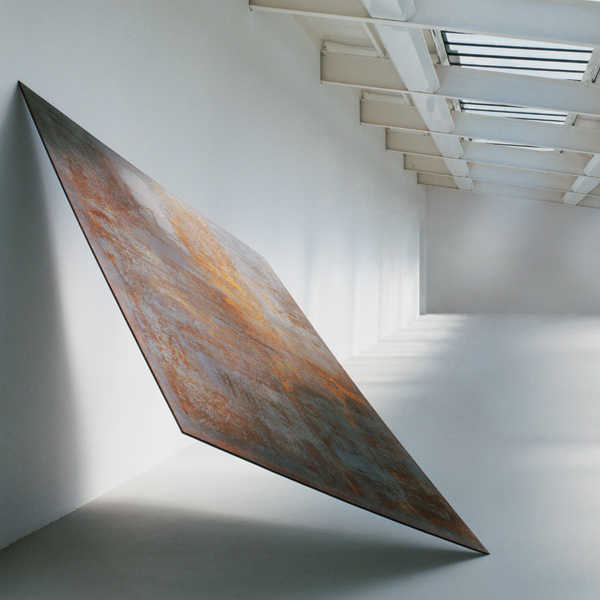 Richard Serra throwing lead at Leo Castelli warehouse, 1969. 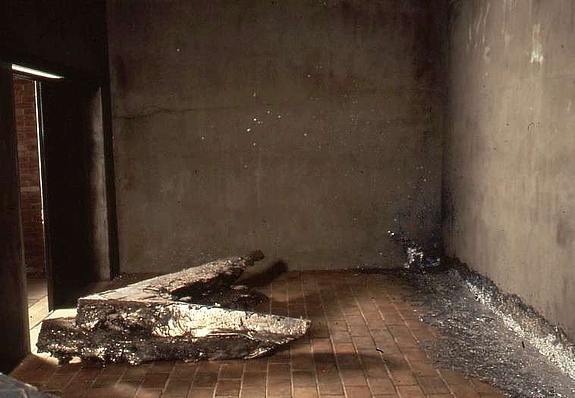 Richard Serra, Gutter Corner Splash/Night Shift, 1969/1995. 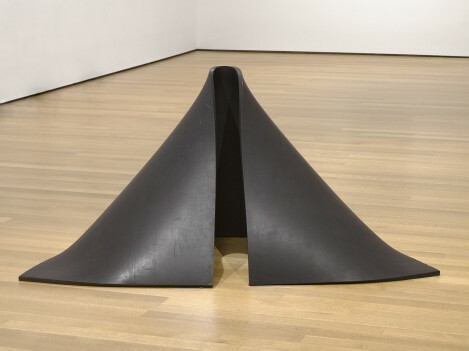 Richard Serra, Corner Prop, 1969. 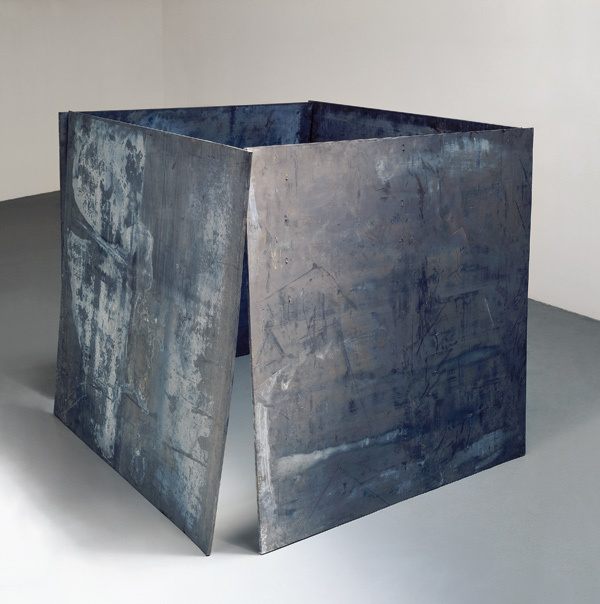 Richard Serra, One Ton Prop (House of Cards), 1969. 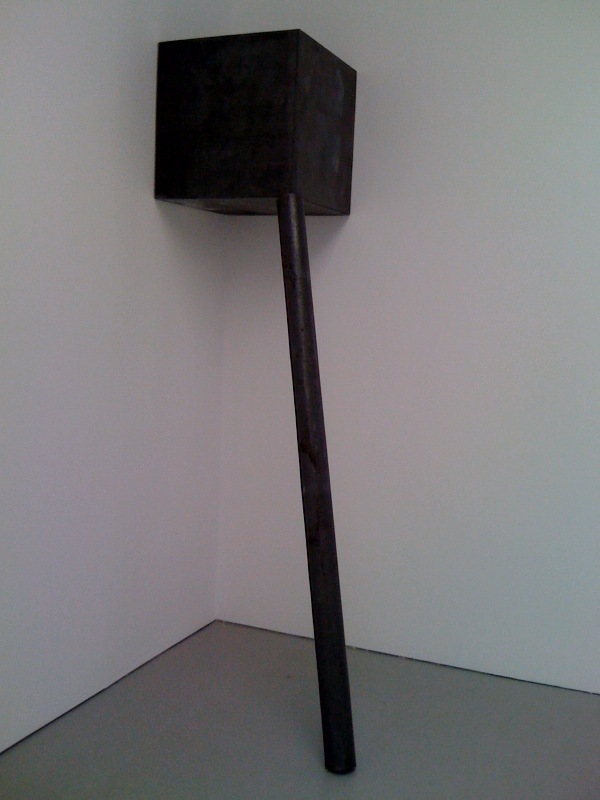 Richard Serra, Trip Hammer, 1988. 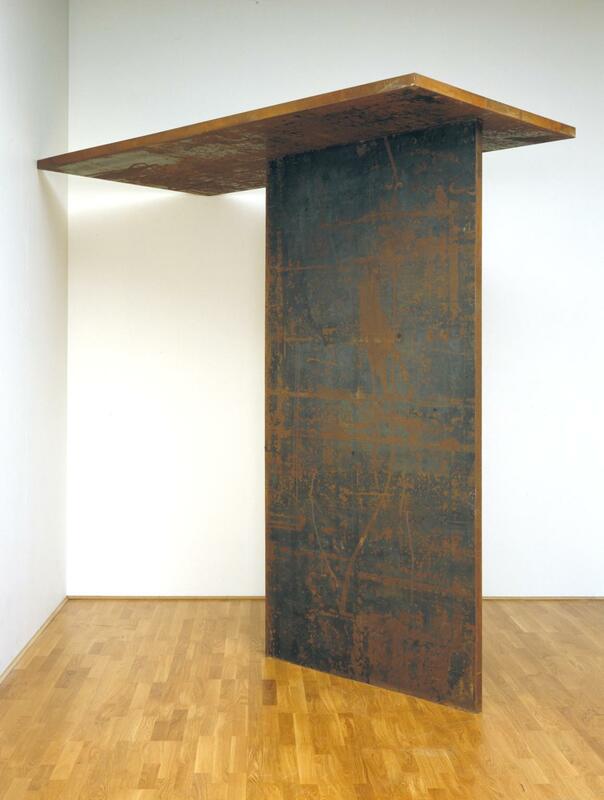 Richard Serra, Balanced, 1970. 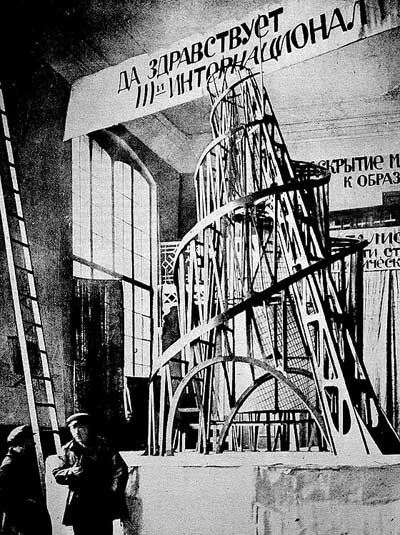 Hot-rolled steel 246.4 x 157.5 x 2.5 cm 97 x 62 x 1".